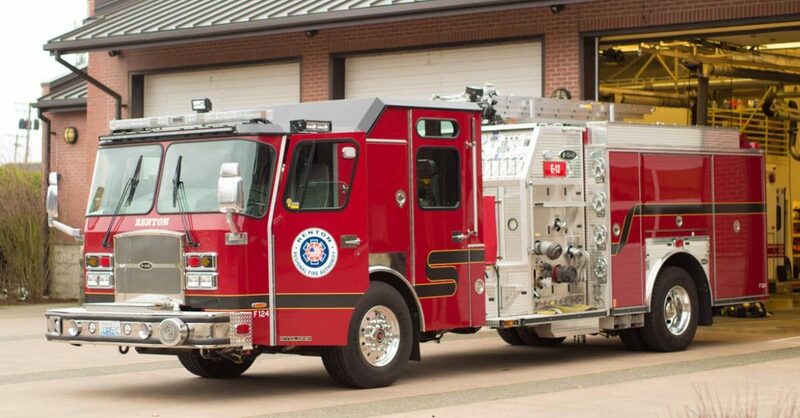 Out with the old, in with the new. 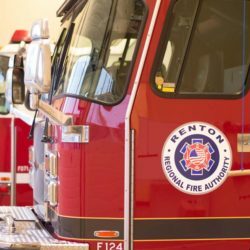 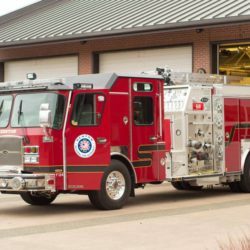 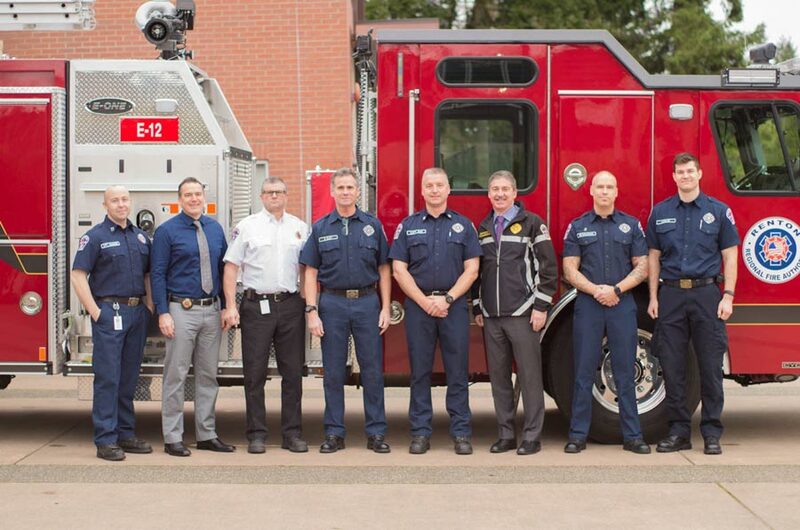 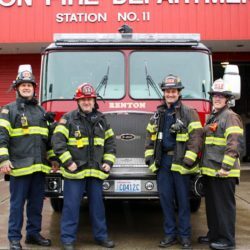 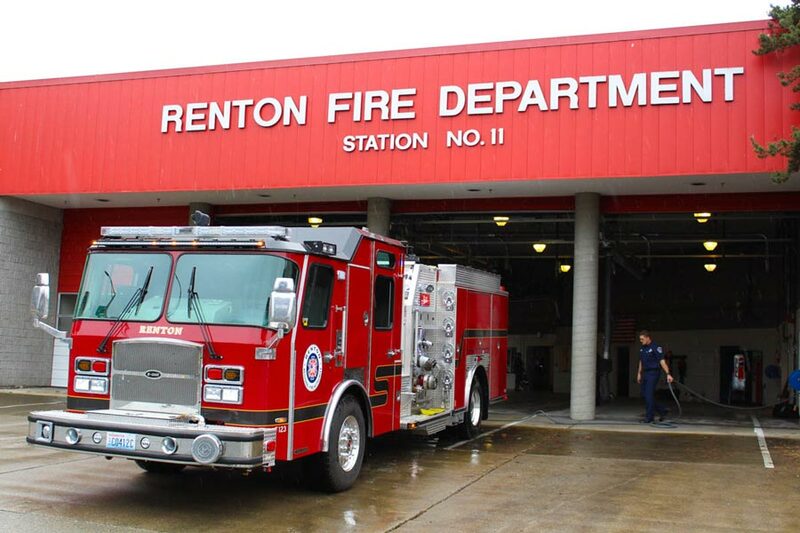 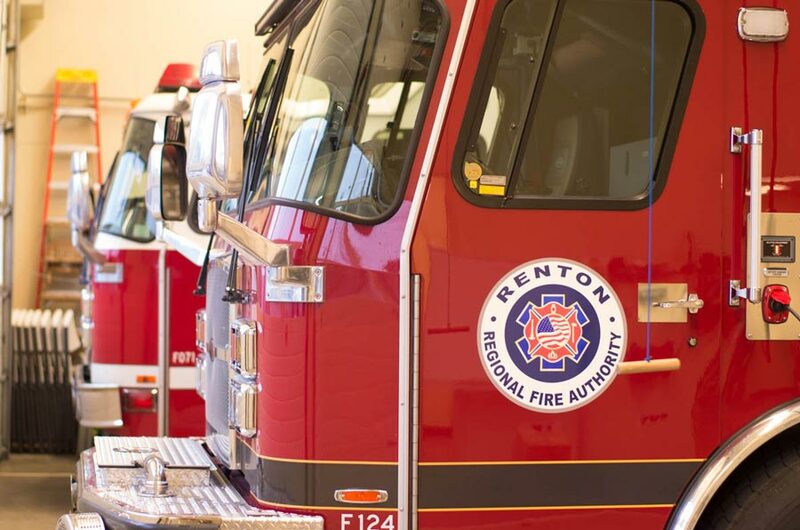 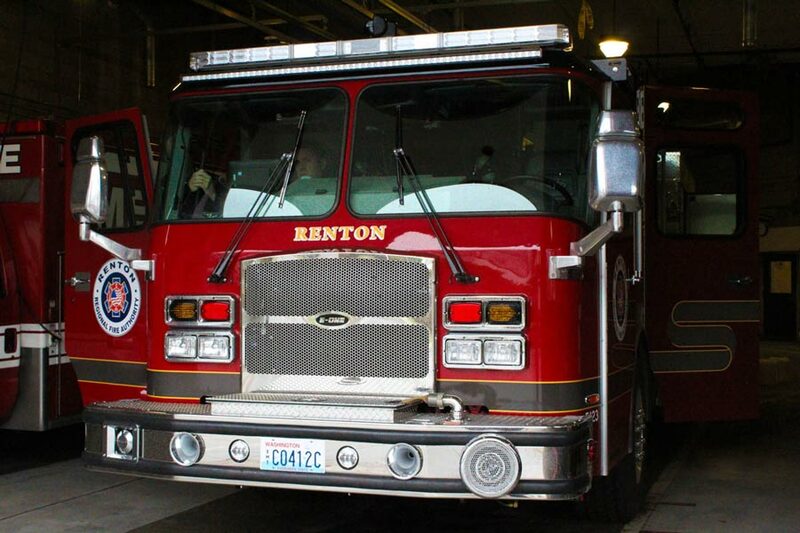 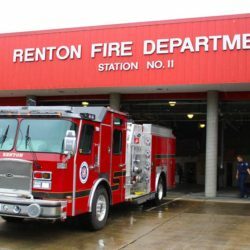 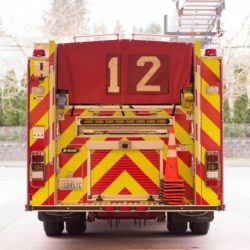 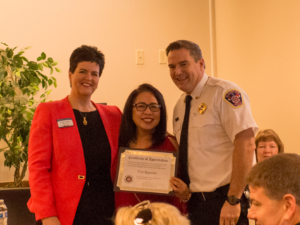 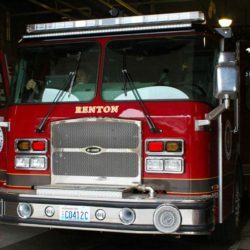 Renton is now the proud owner of two new E-One Cyclone II fire engines. 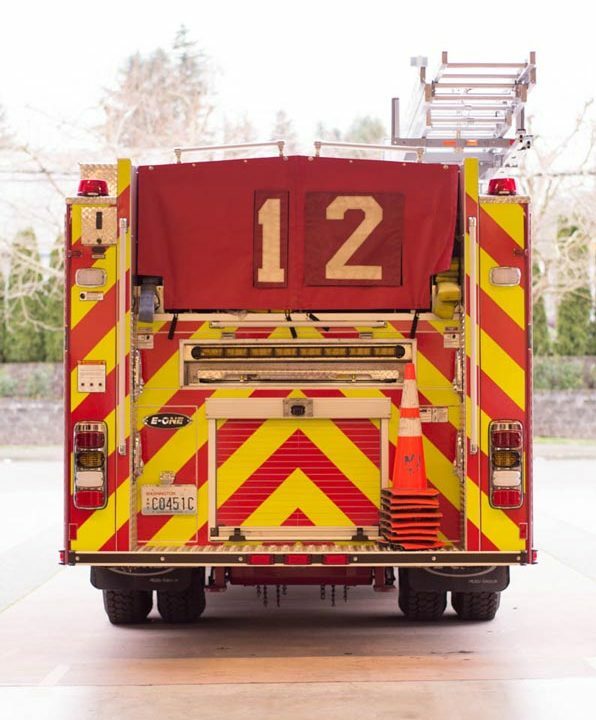 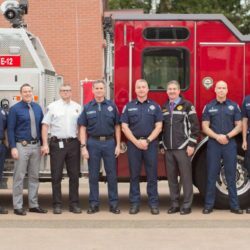 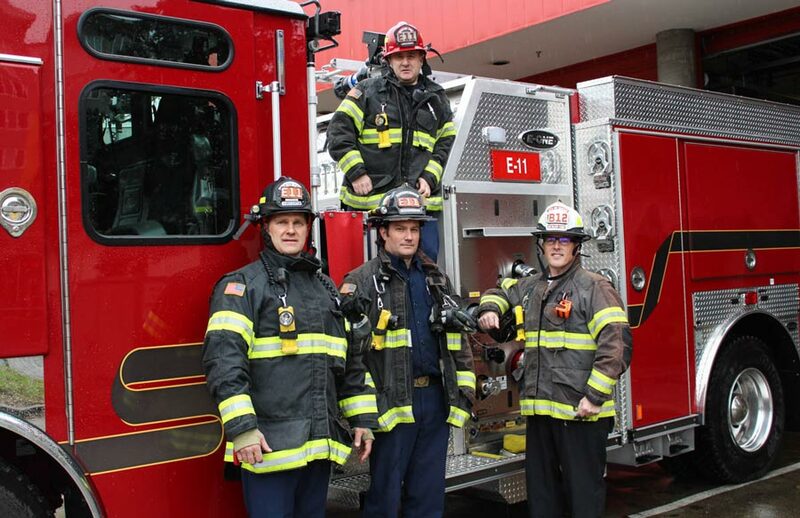 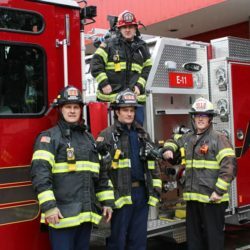 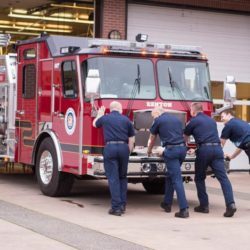 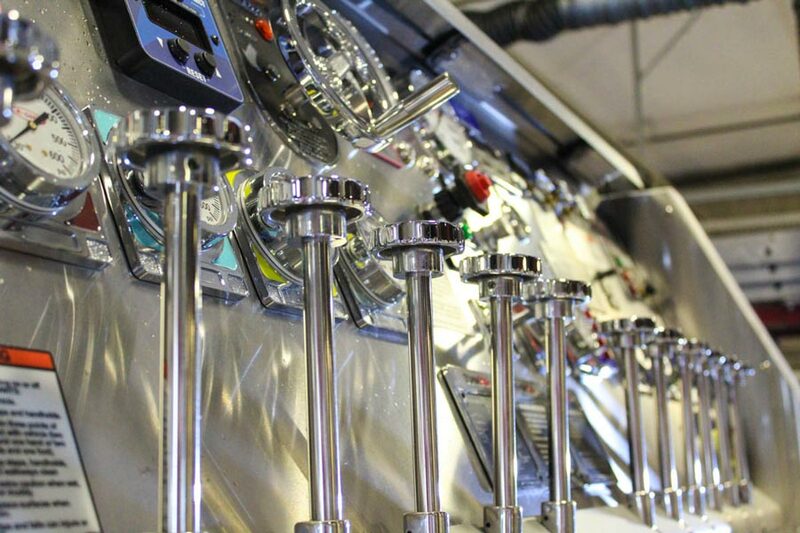 These engines currently reside at our Downtown and Renton Highlands fire stations and are replacing the aging 1996, high-mileage rigs that have been in operation for over two decades. 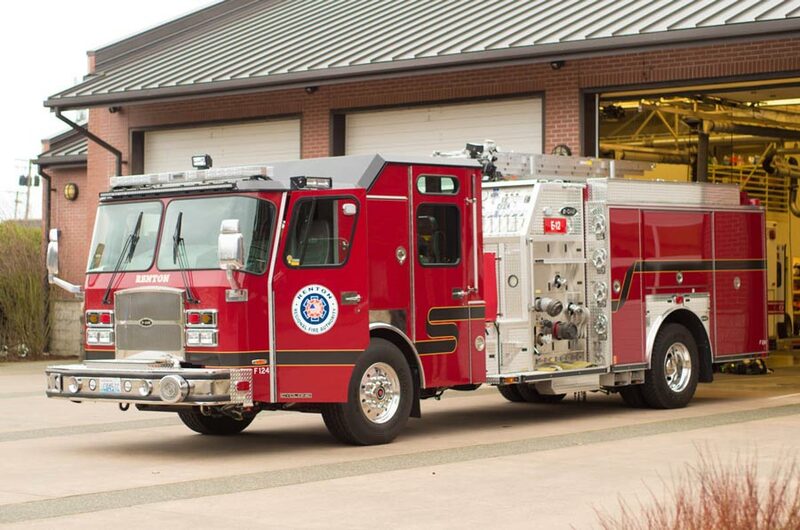 The older rigs will be going to surplus on the public market to help offset the cost of the new engines. 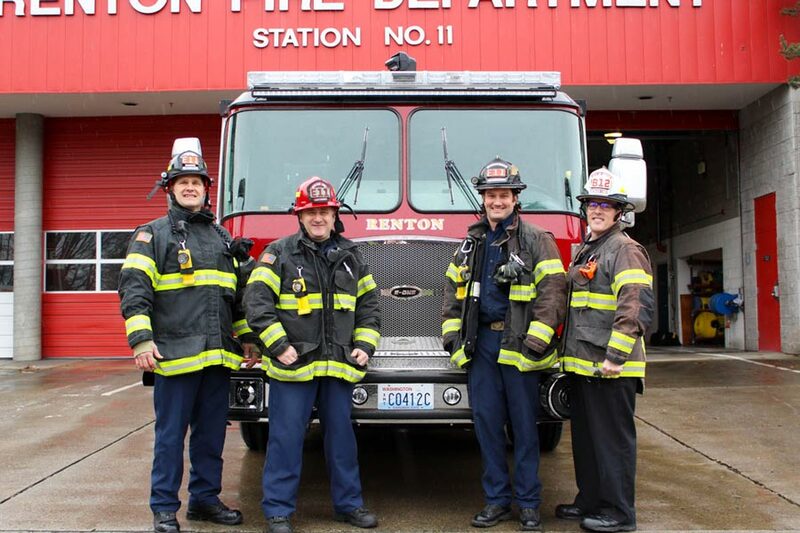 As a time-honored tradition, the Renton Highlands location participated in a ceremonial “Push Back” this morning. 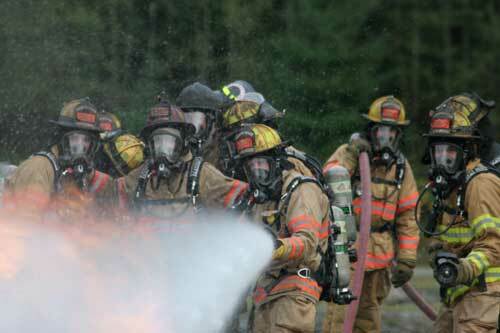 The Push Back originated from the early days of firefighting. 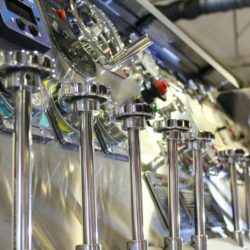 Engines were hand-drawn then, and pushing the apparatus back into the station was a daily occurrence. 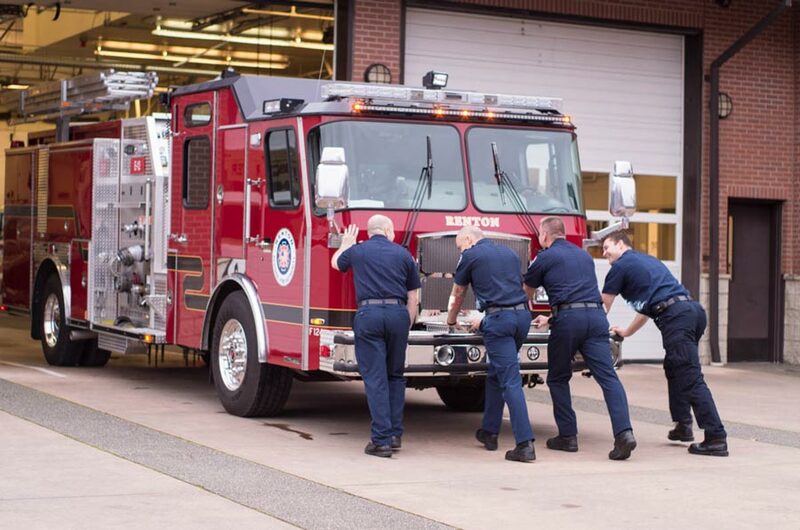 While the advancement of engines over time has made this daily activity unnecessary, and frankly impossible with the size of engines today, we continue to honor the legacy of the firefighters before us by holding a Push Back to welcome each new rig to the organization.